The bar for understanding medical treatments is very low. A recent study of 531 physicians showed that the majority of physicians (over 80% in some cases) don’t understand treatment effects. What this means is that nearly all patients don’t understand treatments. We have the blind leading the blind. Why so much confusion? Because the math is hard. When you are given a list of treatments for your disease you need to see the Treatment Score for each treatment. But you never do. Why not? Because Treatment Scores represent the “net absolute treatment benefit” in the literature, and the mathematics of determining the “net absolute treatment benefit” from medical studies is very difficult. Therefore, very little useful quantification of treatments is done today. We must do better than this because people’s lives are literally at stake. People’s lives, your health, permanent side effects, and resulting disabilities all come into play. In fairness, some systems try to be a little bit more helpful by sticking in extra categories that can be paraphrased as “really likely to be beneficial,” “really unlikely to be beneficial,” and “sometimes beneficial and sometimes harmful,” which gives people six vague categories instead of three vague categories. We need to know if statistics suggest the “net absolute treatment benefit” is 1% or 99%, or somewhere in between. We need Treatment Scores. With the tools at TreatmentScores.com, we are quantifying the science of medicine behind treatments from 0 to 100. We are also separating treatments into grades A, B, C, D, and E (using a 20-point range for each). Grade F is reserved for things that appear harmful. If you undergo a cancer treatment, is it a grade A treatment score? If you take statins for high cholesterol is that a grade A treatment score or a grade E treatment score? What about the 130 treatments for insomnia? What about the 57 treatments for acute migraine headache? We are parsing our words. We are looking at what the evidence behind a treatment is; we are not recommending or rating the treatments themselves. That is up to your experienced medical professional. We are producing the starting point for shared-decision making using the evidence in the medical literature. See our disclaimers at the bottom. We think it is time to go from vague “treatment quantification” to more helpful Treatment Scores and Treatment Grades. "Do clinicians understand the size of treatment effects? A randomized survey across 8 countries." Bradley C. Johnston, Pablo Alonso-Coello, et al. CMAJ October 26, 2015. As we navigate through cold and flu season this year I began thinking about the different remedies we have to try to prevent or alleviate the signs and symptoms of the cold or flu. The most common remedies I found were ginger, green tea, honey, garlic, nasal rinses, or steam. The first step in my assessment was to complete a quick search of the literature for each of these. While some of these had no evidence immediately available, there were several that came up with an assortment of different levels of evidence. Hopefully we can use Treatment Scores™ to combine these different levels and quality of evidence to create a simple, easily understandable, comparable score for each treatment. While Treatment Scores™ cannot recommend a specific treatment the next time you catch a cold, it can allow you to have a clearer understanding of the science behind each treatment. Please use the comments section below for any additional remedies you would like to see evaluated. In the past few posts we have gone through the steps to set up the diagnosis using the Diagnoses Tool™, defined the treatment in the Treatment Organizer™, and entered the data into the STAR™ Blocks. The last step is to use the Treatment Calculator™ to come up with a simple, understandable score of SLT laser for glaucoma. Once we finish our STAR™ Blocks and return to the Treatment Score Calculator™, we will be given the Treatment Score™ based on our main statistic. In the figure below, you'll see the Treatment Calculator™ for the evidence behind SLT for glaucoma. Our prior posts outlined the selection of patients requiring additional therapy as the main statistic and entering the data from several studies into our STAR™ Blocks. The left column gives us the diagnoses we entered into the Diagnoses Tool™, the main statistic, and the patient parameters. The third column analyzes our secondary statistics. In our example here I included pain because some of the studies included this as a side effect and although it is temporary, it is something for us to consider. This was created from a separate STAR™ Block I entered to address the statistic. 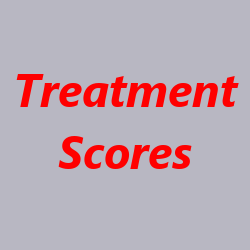 Finally, the center column delivers our Treatment Score™ and an explanation of the score. In this case, the evidence behind SLT laser entered into our Star Blocks gives us a Treatment Score™ of 70, which is assigned a grade of B. This is based on several randomized controlled trials which showed that SLT patients did not require additional therapy in the first year after laser in approximately 75% of cases and our assessment of pain as a secondary statistic. The Treatment Calculator™ compiled and summarized these studies for us and gave us what appears to be an appropriate Treatment Score™. Is Bromelain from Pineapples a Miracle Cure for Cancer? 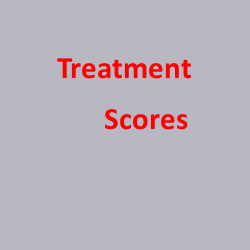 Treatment Scores. An acquaintance sent me an article about how a natural substance, bromelain, which comes from pineapples, is better than a "medical drug," better than a chemotherapy, for cancer. He got the article from one of "those emails" people get. I wanted to understand the science. Sometimes alternative medicines work and have medical studies to support them, and sometimes they don't. So I decided to search for the "amazing truth" mentioned in the article. The article had a headline like this: "Pineapple Enzyme Kills Cancer Without Killing You." It seemed to imply that the pineapple enzyme bromelain can cure you of cancer. So using the tools at TreatmentScores.com I created a diagnosis for cancer. I decided to look at the main statistic = main outcome measure of "overall survival" for any available follow-up time period for adult patients. I searched PubMed many different ways using the terms "cancer" and "bromelain." My most effective search technique came up with 111 total studies, 65 of which were human studies, and 3 of those were clinical studies. As I searched all these studies for "overall survival" statistics for the use of bromelain, I kept coming up with "no statistic." Normally, I would be putting a statistic in the this box instead of "no statistic," because the way you do evidence-based medicine is you organize all the important statistics. In this situation, a review of the medical literature, shows that bromelain has a treatment score of "0" or no data when it comes to increasing overall survival for cancer, according to the existing medical literature that I found. All is not lost for bromelain however. There are laboratory studies and animal studies that suggest bromelain has mechanisms of action against various types of cancers. More studies need to be done, more laboratory studies, and more animal studies. And, finally clinical studies in human beings need to be done. In addition, if we looked at bromelain for another outcome measure, such as improving dry mouth and joint pain in breast cancer patients, it might well have a positive Treatment Score. TreatmentScores.com can become a source for patient-generated research. If we quantify the net treatment benefit behind treatments, we can all see when research needs to be done, and patients, physicians, nurses, and all health professionals can come together to get the needed studies done. Evidence-based medicine is difficult. Mathematically it is nearly impossible. You may need to organize and process 10,000+ pieces of information to come up with a list of treatments for a disease and review the science behind those treatments. In medicine, each statistic has variables, and each variable has more variables, so the complexity quickly escalates out of control. I am looking at patients suffering from insomnia, who have rheumatoid arthritis, who do not have fibromyalgia, do not have juvenile rheumatoid arthritis, do not have sleep apnea, and do not have untreated restless leg syndrome. I will look at Lunesta (eszopicline) as a 3 mg dose for treating insomnia in this situation. As can be seen below, I put the main statistic, the improvement in the Insomnia Severity Index compared to placebo, on the left. It is 16. I put the secondary statistics on the right. Sometimes they are positive and we put them in the green zone. Sometimes they are negative side effects and we put them in the red zone. The Treatment Score begins at 16 per the Treatment Score Calculator™ above. However, we need to make adjustments for the secondary statistics on the right. We need to try to figure out what the medical literature says the "net treatment benefit" was for the patients who were studied to create the Treatment Score. Currently, digesting these numbers is the "art of medicine." This is because there is almost always missing data. For example, one side effect of Lunesta (eszopicline) is an unpleasant taste. It occurred in 27% of the patients taking Lunesta (eszopicline), but in none of the patients taking placebo. Where is the mathematical formula for converting the side effect of unpleasant taste into units on the Insomnia Severity Index? Such a formula does not seem to exist. However, in the future we need to collect such data. We need to survey the patients for starters. Some side effects already have conversion formulas. For example, the Global Burden of Disease project has converted many side effects into "disability adjusted life years" or "quality adjusted life years." Getting all the side effects converted to values that can be mathematically subtracted from the main statistic (or main outcome measure) will be an important part of the future of medicine. Where do we get the hard numbers? They come from the medical literature. For example the number 16 comes from the following medical study. We call this a STAR™ Block of information. STAR™ means Statistic and a Reference. 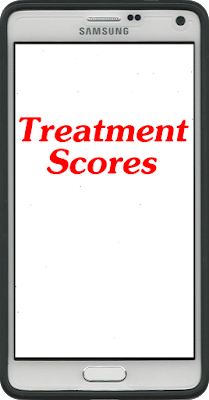 Treatment Scores is an early prototype system. You can see that in the future everything can be improved. More and more automation can be done. Statistical methodology can be improved and validated. Quantification of treatments will change everything: education, research, reimbursement, and distribution. Our third post in the assessment of the evidence behind SLT for glaucoma we will enter the data into the STAR™ Block, allowing us to create the Treatment Score. STAR™ stands for Statistic and a Reference. At the top of the screen you'll see the Diagnosis Levels, Treatment, Statistic We Want, Follow up, and Patients (figure 1) carried over from our entry into the Diagnosis Tool™ from our earlier post. After searching PubMed and identifying the highest quality research, we need to create a STAR™ Block for each. Below the Diagnosis Level you'll find that Treatment Scores™ allows you to either create an empty STAR™ Block or enter a PubMed ID. Figure 2 shows the view after a PubMed ID is entered to create a new Star Block™. 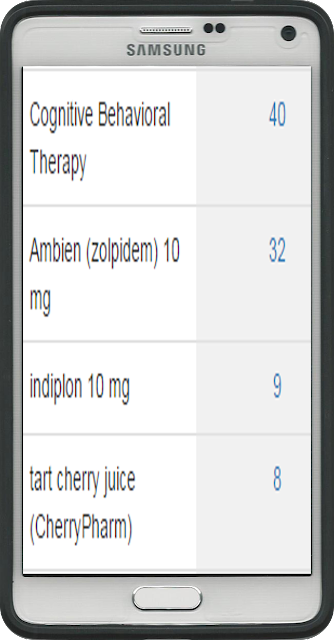 Treatment Scores™ pulls in the abstract and auto-populates the first few columns of the Star Block™. The rest of the columns we enter. Of particular importance is the Statistic We Have, which is the main outcome statistic at the heart of the study. For our analysis, I chose to use the percentage of patients who did not require additional therapy during the study. This statistic was available in all the studies I included and represents clinical success of the treatment. The next important blocks to fill are the Quality and Relevance of the study. These are somewhat subjective analyses, using evidence-based medicine guidelines, and I gave relatively high quality and relevance scores because the studies included were randomized controlled trials with similar design and endpoints. These numbers would be lower should I include case series or non-controlled trials. Figure 3 shows the completed STAR™ Blocks. Once the relevant STAR™ Blocks are completed we can chose whether or not to include the STAR™ Blocks in our analysis on the right. The last thing to do on the STAR™ Block entry is to set the description of the statistic we have and the ceiling number. Once these are entered we are ready to go back to the Treatment Calculator™ and finish our analysis. We'll pick up there in our next post. See the disclaimers below. Knowledge. It's everywhere. In this day and age, a person can leave their doctor's office with a new diagnosis and a prescription, and not fully grasp the magnitude of the diagnosis, or the side effects of the prescribed medication. Often, these diagnoses and medications come with a myriad of questions. Questions that were not thought of and not answered while at the doctor's office. What does a person do? They go home and do an Internet search of their new found diagnosis, in order to better understand what their specific disease entails, and perhaps even search for the "alleged" best treatment for the disease. What does a person find? The person finds innumerable web pages dedicated to medical reviews, other people's opinions, and any other number of answers, both from reputable sources and otherwise. It is extremely difficult as a patient to navigate through the mass amounts of information on the internet. How does a person know which websites have good medical knowledge? Which opinions can be trusted or not? How do physicians navigate through the immense amounts of research there is on the internet and otherwise, and come up with a well educated treatment plan? Treatment Scores is a new, innovative website that strives to assemble the mass amounts of information from the web and from medical articles. It is meant to give you the tools to organize medical statistics and make sense of what they say. One can actually conglomerate hundreds of evidence-based medicine articles and websites. 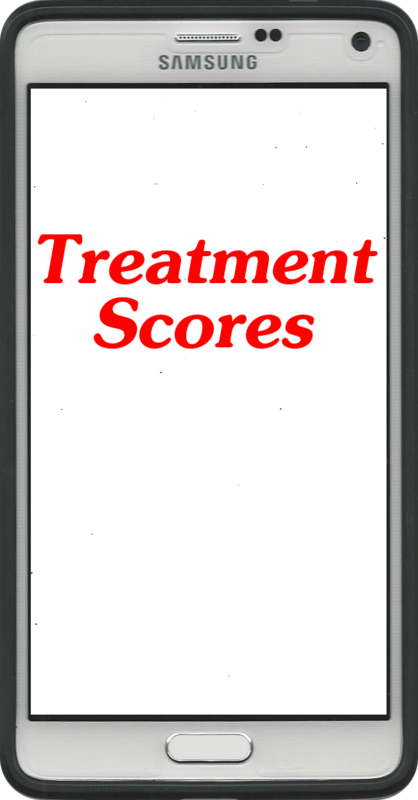 Treatmentscores.com is for patients and physicians alike, to make transparent what the science of medicine (SOM) shows. It can be used to better understand a diagnosis, or better understand what treatment options are available. It is not a replacement for an actual physician, but the educational tools can be used for a discussion between a patient and their own physician. Keep posted to find out how acetyl L carnitine affects depression! As a practicing physician, I like to keep current on my medical knowledge, not only for my specialty, but for diseases and conditions that relate to my specialty. In order to do this, I keep current on journal articles that are mailed to me through my association. I also try to do some research on my own, especially when an interesting patient comes through my doors. Researching on the internet is extremely difficult and cumbersome to sift through the endless amounts of information. How does one determine which websites are accurate and which patient reports are real or worthy of looking in to? Even in reading current journal articles, it is difficult to determine how good or bad the treatment being discussed is. Treatmentscores.com is a new website designed to organize the net treatment benefit of a variety of diseases and their different treatments. It aims to quantify the evidence based medicine that already exists and to compare the multitude of studies which are available, and give each treatment a letter score (A-F). This will provide both physicians and patients, alike, a means of understanding the mass amounts of information that has already been studied. The above diagram represents only one study on depression and minimal hepatic encephalopathy. Once that entire study has been entered into treatment scores, it will be rated. As more and more studies are entered with different treatments for depression, with or without hepatic encephalopathy, we will be able to compare the net benefit effects of a variety of treatments for depression. You would then be able to discuss these options with your physician. See the disclaimers below. We are providing education about what happened in the past, not making any recommendations for future patients. The most important thing a medical review article should do is figure out the "net benefit" for the patients studied in the past. Yet, medical review articles mostly don't even try to do this. Why not? Because it is tremendously difficult. It has been said to be impossible! Take insomnia for example. You would think it would be easy to figure out the science for insomnia treatments. It's an extremely common medical problem. Using the Treatment Score Analyzer™ software at TreatmentScores.com I created a diagnosis for insomnia. The problems begin immediately. How do you define insomnia? It's not nearly as straightforward as you think it would be. Are we talking about primary insomnia? Or secondary insomnia caused by some other medical issue such as chronic pain? What time scale are we looking at? 2 weeks? 3 months? The reality is that you have to combine studies over different time periods when you review the literature. What patients are we looking at? Kids? Teens, Adults? I am focusing on adults only, but with all the inclusion criteria and exclusion criteria, or lack thereof, describing the patient population can be much more complicated. Insomnia can mean several things. Insomnia can mean difficulty falling asleep, difficulty staying asleep, or waking up too early. Insomnia can mean poor quality sleep, so that you wake up feeling like you haven't slept well. For this review, I decided to quantify treatments that were studied with the Insomnia Severity Index as the outcome measure, because it is a questionnaire that tries to take many of the components of insomnia into account. After a ridiculous amount of work, because the tools we need for science-based medicine are still in their infancy, I came up with a short treatment list and Treatment Scores. 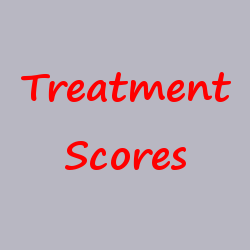 Treatment Scores represent the net treatment benefit for the patients studied in the medical literature (on a 100 point scale). Why this list of treatments? I chose Ambien (zolpidem) because it is one of the most common prescription medications for insomnia. I actually wanted to review 5 mg, not 10 mg, but I could not find enough appropriate studies. I chose to review "indiplon" as a treatment because I was able to find a high-quality randomized controlled trial that used the Insomnia Severity Index as an outcome measure. Indiplon is interesting, because if you read Wikipedia (https://en.wikipedia.org/wiki/Indiplon) it sounds like the company obtained FDA approval, but the FDA apparently asked for more studies, and the drug company, Neurocrine, may have simply given up at that point. It's not entirely clear, but that will be another interesting essay for another day. Why did they give up? I chose to study "tart cherry juice," because a friend asked me a question something like this: "I read about tart cherry juice for insomnia in a magazine, what do you think?" When I looked up tart cherry juice in the medical literature it turns out that there is biochemistry supporting it. It apparently increases melatonin levels and may also have anti-inflammatory properties, both of which might be mechanisms to help people sleep better. At Treatment Scores we don't care if a treatment is Western medical, Eastern medical, natural, herbal, or any other type of alternative medicine, we only care about the data. Wouldn't it be nice if you could look up a diagnosis, get a list of all the possible treatments for that diagnosis, and see what the Treatment Scores are? That's what we are working towards with the tools at TreatmentScores.com and are blogging about here at TreatmentScoresBlog.com. Ambien (zolpidem) is interesting, because unlike some of the previous prescription medications for insomnia that were in the benzodiazepine (Valium) class of drugs, Ambien (zolpidem) allegedly does not produce tolerance, sedative effects, or signs of withdrawal when the drug is stopped (at least according to some sources). Ambien (zolpidem) is in a completely different chemical class, the "imidazopyridine family." The Treatment Score Calculator™ is a tool that allows you to put the main statistic, or main outcome measure on the left, and the positive side benefits and negative side effects on the right. The Treatment Score Calculator™ allows us to organize the statistics and then adjust the main statistic up or down to create the Treatment Score. Note that I don't have every single side benefit and side effect scored on the right side of the calculator. Eventually, I just ran out of time, and had to stop where I was (but will complete this for a future blog post). However, I have read that the side benefits of "quality of sleep," "time to fall asleep," and "total sleep time" are all positive. The negative side effects are relatively rare as can be seen by the low numbers. What are the mathematical formulas that need to be used to translate the things on the right into values that can be added or subtracted to the main outcome measure on the left? These are all things that we are working on. Where do the numbers in the Treatment Score Calculator™ come from? They come from medical studies. We capture the statistics in what we call STAR™ Blocks. STAR™ stands for "statistic and a reference." Below is an example of a STAR™ Block. The statistic on the right in the "rose-colored" cell is what is most important, but also important are all the other reference information: the title, authors, journal name and so on. By doing evidence-based medicine this way, with 4 tools, the Diagnosis Tool™, Treatment Organizer™, Treatment Score Calculator™, and STAR™ Blocks, we make the entire process TRANSPARENT. We have made the process visual so that patients, doctors, nurses, and everyone can see what is being done. This type of quantified evidence-based medicine is in its infancy. We are taking baby steps. There are many issues yet to be overcome, and I want to list some of my frustrations. Frustration: There are over 130 treatments for insomnia! There is a list at Wikipedia here: (http://www.webmd.com/drugs/condition-3063-Insomnia.aspx?). Some of the treatments don't require a prescription; some of them do require a prescription. We need to know the Treatment Scores for all 130 treatments. But imagine the work? Just to do the three treatment scores above has taken me days of time and effort. Imagine having to do it for 130 treatments! However, we are getting there. With "big data," "natural search engine technology," and other tools that we are building out, we will make it doable. It has been difficult and time-consuming to come up with the Treatment Scores and Treatment Grades for these three treatments for insomnia. In fact, if I didn't have the tools at TreatmentScores.com, it would have been nearly impossible. A lot of time was spent searching the medical literature and a lot of time was spent reading the medical literature. We need to make this process of quantifying treatment effects faster and easier. The information is right there in the medical literature. Medical articles have the main treatment outcome. Medical articles usually have the frequency of the main side effects. However, all these statistics need to be combined to come up with the net treatment benefit for the patients studied. Doing this should be the focus of every single medical review article. All medical review articles should put what the patient needs to know front and center. Frustration: More studies need to be done using the same outcome measures and the same dosages. Ambien (zolpidem) is often prescribed in lower doses than 10 mg. For the elderly and women, and even most men now, it may be only 5 mg. The dosage may be even lower for many people now. See your doctor, the full package insert, and FDA warnings. Figuring out Treatment Scores is a great example of why we need patient generated research. Why don't patients, doctors, nurses, and pharmacists get together and fill in the gaps? Frustration: It's actually hard to come up with a diagnosis that is specific enough to find enough good data. What I finally did was use the outcome measure "Insomnia Severity Index," and a time frame of 2 weeks to 3 months, and adult patients. This is what doctors are doing in real life in their heads. They are combing all kinds of data from different time periods, and that are reported on different scales. No wonder few people really know what is going on, and no wonder there is so little transparency. Frustration: There are so many possible side effects there is not room to list them all. Some are fairly trivial, some are rare but are life and death important. Ambien (zolpidem) has a rare side effect of "sleep driving." It has been reported that people actually do things under its influence and don't know they are doing them. I found that side effect next to impossible to quantify. Here is a nice open source, full text review article you can read about Ambien (zolpidem): "Zolpidem Is an Effective Option with a Reduced Risk for Dependence in the Treatment of Insomnia," by Alam Shadab, MD, et al. http://jddtonline.info/index.php/jddt/article/view/987 (I have nothing to do with the company or companies that make Ambien or generic zolpidem). One more thing about Ambien (zolpidem). Before Ambien, many sleeping pills were in the benzodiazepine family. That family of medications, which includes Valium, causes a lot of side effects. Benzodiazepines cause sedation, impaired cognitive function, risk of abuse, addiction, withdrawal syndrome, and dependence on the medication. I'm not saying that Ambien does not cause some or all of the same things, but most of the medical literature I reviewed has concluded that the non-benzodiazepine sleeping pills we have today are superior to the benzodiazepine pills in terms of side effects. Sleep Apnea: Getting the diagnosis figured out is critical, but can be extremely confusing. While reading the medical literature for this essay, it seemed like I was seeing a "sea change" in the diagnosis of insomnia over time. By using sleep laboratories using machinery, such as polysomnography, I realized that the literature seems to be saying that the underlying cause of insomnia for many people, or even most people, is actually sleep apnea. Therefore, when studying treatments in the future, we will need to study patients who do not have sleep apnea versus patients who do have sleep apnea. I plan to return to review insomnia many times and in many different ways. I have seen a commercial on TV for Belsomra (suvorexant). The US FDA approved Belsomra (suvorexant) on August 13th, 2014 for insomnia according to one of its press releases, and it needs to be studied in this same fashion, with quantification. The future of quantifying medical treatments is bright! Quantification will save time, lower costs, and create transparency. Our system will become more and more automated; people will be able to share their work with each other, and each step will be able to be validated and verified.